Editor’s note: This interview, which has been edited for space and clarity, is the second in a two-part series. The first half of the interview ran in Friday’s paper. The Daily Californian’s Senior Editorial Board sat down with Chancellor Nicholas Dirks and campus spokesperson Dan Mogulof to discuss important issues affecting the campus community, including the December Black Lives Matter protests, the Cal field hockey team’s Title IX lawsuit and Dirks’ biggest regret as chancellor. The Senior Editorial Board: You said in the news center press release announcing the African American initiative that for too long, African Americans on this campus have faced obstacles feeling fully included in the life of our university. I was wondering if you could talk more about that whole “too long,” as well as what the barriers both you and your predecessors have faced in trying to accomplish any sort of project like this initiative. 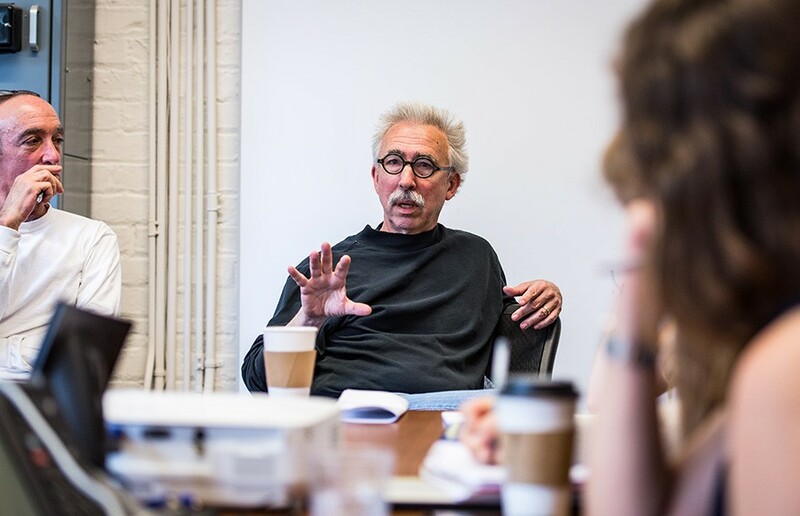 Nicholas Dirks: It’s two things — one is the money that we offer, and the other one is that the cohort becomes a self-reproducing problem. Scale matters with issues having to do with the African American student experience. The provost, Claude Steele, has written a lot about the difference. For example, he’s run experiment after experiment, and you bring a group of students together, and suppose there are about 100 students in the room, a few of whom are African American. And suppose some comment is made — not a racist comment, just the kind of comment (like) “African Americans don’t typically do as well as, whatever group, maybe Asian Americans, on this test.” Well, they will actually do worse, significantly, than if they were in a room with, say, 25 African Americans and they were told initially that African Americans typically do better than whatever. And it will be a major difference in terms of just the number that is accorded to them for an objective test. I mean, this is not just about feeling; it’s obviously confidence. Confidence is a huge factor, but you only say it in sports. Sonny Dykes said yesterday after the game, “It’s all about confidence, and we lost our confidence in the first quarter.” But that’s true in taking math exams. And it’s been shown according to gender lines. It’s been shown along race/ethnicity lines. Just when I came here, I saw the “At Berkeley” film, the Frederick Wiseman film, and there were some really poignant comments by students who said that they find it difficult sometimes to even be included in a study group because the expectation is that they’ll only just down the study group. Well, what that does is not only is it hugely hurtful, but it actually makes you perform worse, and then it becomes part of a self-reproducing cycle of underperformance on the one side but also of a sense of “I’m not welcome here” on the other. And if you don’t feel welcome in a place, you’re not confident, and you’re not going to do as well as you should. And, of course, increasingly what’s happened — and we hear this from the Black Alumni Club — is that when students are getting into Harvard and any number of other colleges and Berkeley, they advise them to go to the other places. They advise them not to come here. So we realized that the cohort number issue was going to be necessary both to create a more welcoming, inclusive and generally supportive environment on campus but also to actually reduce the kinds of academic results that we want and that we know our students can come up with. So we realized that we had to do something big. And, of course, there are constraints. Prop. 209 constitutes a major constraint, so I have to take vacation time when I go off and raise money for targeted scholarship programs. I have to do it either off campus or do it in a way that is legally defensible. There are all sorts of ways to do that. Stiles Hall is right across Bancroft, so I could go there, but it’s a private space. We also have to have this endowment held in a slightly different context than our normal endowment and scholarship funds so that it can be specifically targeted to certain students. But we figured that out. So we know what we can do, and we know how we can do it, and we’re beginning to tap into some local philanthropists who want to support this, including philanthropists in the tech space who are concerned about diversity in the tech world. And that’s been a big issue lately as well. Of course, the diversity in the tech world is also a gender issue. It’s diversity along several different axes. I want to say one last thing, though, which is to say that we felt — especially after last fall, and the way in which violence (was) associated with event after event after event, from Ferguson to New York to South Carolina — that we needed to do something to make the position of African American students on campus more visible. We thought everybody would actually understand and support an initiative of this kind, and so this was a good time to do it, and right out of the gate, coming into school in September. It’s not to say we’re not out there trying to raise more scholarships for other students, because that’s really key to everything we talk about in terms of access. SEB: What do you think will be necessary for the initiative to see success? ND: Well, first we’ve got to get the money. We have to raise $200 million. … We have these yield issues that are also part of the story. We get students who apply, and then they get a number of choices, and they take the other choices. And … part of this is in the admissions and recruitment office and getting people there who can really make a persuasive case that not only is this a great university, but they can have a great experience. But then we have to make sure these things actually get deployed and that we raise the funds. And we’ll do it as a kind of pilot, and then hopefully we’ll be able to show success and then use that to raise more money and to devote more attention to it in the future. SEB: During the December Black Lives Matter protests last year, dozens of UC Berkeley students — including some reporters in this room — were tear-gassed or pelted with rubber bullets. UC Berkeley’s own police force, UCPD, assisted Berkeley Police Department through mutual aid efforts. What responsibility, if any, does the campus have for the protection of students, even if not on UC property? ND: It’s a complicated issue. … I meet quite regularly with Margo Bennett (the UCPD chief of police) and have talked to her about issues relating to safety on campus, and I mean safety in the literal sense. I’ve also talked to Mayor Tom Bates about what happened when UCPD officers were involved, along with Berkeley Police Department officers, in the events you just described. He was not happy about some of the things that happened. So he was doing a comprehensive review of what actions were taken by his police force. Again, a lot of it happened very, very fast. The people at the top who seemed to be responsible actually don’t find out certain things until later, when they start reviewing, and then, of course, they have to be careful that they don’t accuse somebody out of the box of doing something until they’ve actually been able to figure out what went wrong, where and with respect to who — because you can then have these kinds of political issues, like what New York City went through when Bill de Blasio couldn’t get the police to actually do anything other than turn their backs on him after the comments he made in relationship to the Eric Garner case and a couple other cases in New York. I just say that because I think there’s a lot of sensitivity within the Berkeley city government as to how to deal with these issues, what to do publicly, what to do privately under the cloak of personal elections, as well changing certain kinds of regulations and instructions for police offices. It was disturbing what was going on on the streets right here — even more so down in Oakland. Mutual aid is something that exists as a provision. But there are issues that have to do with who’s in charge when you’re in somebody else’s space, and I don’t think we’ve gotten to a point where we have complete clarity on this. Dan Mogulof: Not to put too fine a point on it, but obviously, if there are situations where the campus needed mutual aid, we would not want to have a situation where other departments are calling their own shots. So it’s tricky. It’s really complicated, and I’ve seen that play out here probably before most of you were here. But at times, we did have presence of other forces who come from a different culture and a different approach to law enforcement. College police departments are very, very unique — not to say they’re perfect — but it’s a different culture and a different approach. And we would not want to have situations, you can imagine, when it goes the other way and officers are out in the streets of Berkeley. What’s good for the goose is good for the gander. Mutual aid creates some very complex situations when you have forces that come with a different approach and a different culture as far as law enforcement is concerned. SEB: In a message to the campus the next day, you called for “calm” and said “what led to the unfortunate confrontations between some groups of protesters and police officers remain unclear.” Looking back, is the situation clearer to you? The Student Advocate’s Office stepped up and provided first aid kits and “know your rights” documents to students. Should campus administration have done more to protect students? ND: I think the question is really good, because now that students are back on campus, I should see if there are things that we learned that can be put into protocols, including reaching out more proactively and before the events take place. So I appreciate you bringing this up, but I don’t have anything more that I could say that would be helpful, I don’t think. SEB: Without going into detail regarding the Title IX investigation, what are your thoughts on the Cal field hockey situation? ND: When I realized we were in a major situation last fall, I authorized a significant expenditure to both create a new field and build a practice facility. … We did the latter, but in the whole process of designing and then constructing the Underhill facility — and I deeply regret the fact that the field hockey team has spent so much time traveling down to Stanford, which is the closest regulation field that exists — we designed and got this state-of-the-art compound that was going to be used. I mean, the mat that’s used in field hockey is a very different size than what’s used in a lot of other sports where there are mats, and this compound was supposed to be the best way to both provide support for the mat — some spring — but also stability, given the nature of the structure. And first of all, it was delayed by rains on the East Coast, and then it came out here, and it started buckling. … It’s one unfortunate occurrence after the next, which I can genuinely say is unanticipated. A lot of construction projects take longer than they should, but this one — nobody expected (it) to happen. But we’re hoping it will be done by late fall, and certainly by competition next year, we’ll be past this, but both the teams and facilities and athletics have been working to try to rectify the situation. I’m really sorry that it’s dragged on this long. SEB: Why did the original field become football practice space? ND: I honestly don’t know — do you know? DM: No, it’s been one of those things that’s remained mysterious to me even though I try to keep a handle. I think it’s probably best answered by Cal Athletics — it was also during a period of transition in the department itself. SEB: At its core, do you think this is an equity issue or something else? ND: I think it’s not, at its core, an equity issue. Here in Division I, a lot of the athletic bills are paid for by the revenue sports — men’s football and basketball. … So we have 30 teams, we have some of the greatest programs in the country. But if I were going to be designing a program in the abstract, I’m not sure I would think that having 30 sports was a responsible thing to do, so there are some budgetary issues that really do reflect the larger environment of what it means to have so many different sports. … As we’re trying to support our student-athletes much more responsibly than we’ve done before, those are also involved real investments, which we don’t want to take from either state moneys that are directed toward education or student tuition. DM: I think to arrive at the idea that it’s an equity issue, you would have to be able to believe that if it was field hockey that threw off $8 to $10 million a year and football that needed subsidization, (then) they would have still made the exact same decision and that it was driven by the gender of the players. That I would be very, very hard-pressed to believe, especially given who the athletic director was at the time and all the rest of it — that would be a really extraordinary lead. That doesn’t mean the process was right, because it’s still not as transparent as I said, but to get to the fact that it’s an equity issue, it’s important to keep in mind — and we’ve seen this in a number of cases — the Title IX office, the Office of Civil Rights, they pretty much take any investigation on, even if it’s barely plausible. We’ve had a whole series of this, and so — unlike a grand jury or other legal processes where an indictment or an investigation suggests that where there’s smoke, there’s fire — OCR works a little bit differently. That’s not to say to prejudge whether they’re going to come out and we’re not going to try to … interrupt or interfere with the integrity of the investigative process. SEB: What were your thoughts in the moment (at the Berkeley Forum in May) as people were heckling you? What are your thoughts now, and is it going to change how you approach public forums like that? ND: You know, I’ve been heckled before. … But I guess what it raised for me was the largest question of how we can work together to try to create a space where you can have genuine disagreement, genuine contestation and genuine expression of people’s thoughts, concerns and beliefs, but still some kind of productive talk. And every time I’ve spoken about this, it’s possible to be misinterpreted. I believe absolutely in freedom of expression, freedom of speech. And yet I also believe that if a university can’t figure out how to have difficult conversations, then the society in which we’re located is in big trouble. Because that’s what we do. We teach ideas that are, first of all, in conflict with other ideas, and secondly, in communities where there are different views about these ideas. SEB: So, you’ve been chancellor for more than two years now. What would you say is your biggest regret you’ve had or biggest mistake that you’ve made thus far? ND: I make mistakes every day, and so often there’s just decision after decision after decision in a job like this. … But the biggest mistake I made was to think that I could actually understand this institution as a whole quickly enough, perhaps, to make some of the kinds of declarations I made when I first came here. So I’ve had to rethink a lot of the things that I said when I first arrived. I didn’t know enough. I also didn’t know enough about even how the chancellor is perceived. So a lot of my persona — whatever that means — is the result of a set of expectations around what a chancellor is. I didn’t have any experience, you know. I was No. 2. No. 2 is great. No. 2, you get to do a lot of stuff, but when you’re home, you’re home. DM: Just having been around you during the time, it seemed to me that one of the regrets goes back to the first thing you talked about, which is that ability to make the case for the people of California. ND: Which I did, that he would talk to me about why it is that Berkeley needs his support. I really believe that because he had read what I had written, and we were talking about it, that I could engage him. And I think I probably failed to use the opportunity I had to get the right kind of conversation going. You want to make sure that every decision you make on the job is authentic to who you are and to then what the institution is, and you have to find a match. The hardest part about being chancellor, the hardest part, is that who I am can get lost. And when that gets lost, then who you — I don’t mean you as individuals, but you as members of an institution — also get lost. Because at some point, I’m not just a symbol or a mouthpiece. I’m somebody who has my own integrity, my own history, my own values, my own beliefs, and they have to be there, they have to somehow be there. Because otherwise, I don’t do the job. I don’t want to just occupy a job where everything I say or everything I do has been determined by, “This is what the chancellor does.” … I think when I make mistakes, it’s because I sometimes lose that. SEB: What is one thing you want to focus on this coming semester, this coming year? ND: I talked a lot about the undergraduate initiative in the abstract, but one thing I am really excited about is this new Arts and Design Initiative, which I’m building into the Undergraduate Initiative. One thing that we’re proposing — and we’re working with Shannon Jackson, who is the new person leading the initiative across campus — is something called a “culture pass” so that every student, effectively, with their ID, can either get a major subsidy or even a free ticket to a lot of different kinds of events that will be taking place both on campus but also in the Bay Area. We did something like that at Columbia, and it just opened up the city. To me … if there’s a musical event or a museum exhibition, if you have the time and can figure out the way to get there, you shouldn’t have to think about if you can afford it. This is only one part of the initiative, but it’s something we are really focused on this fall, which I would really like to get done.